I graduated as a veterinarian in 2003 in Lisbon, Portugal. 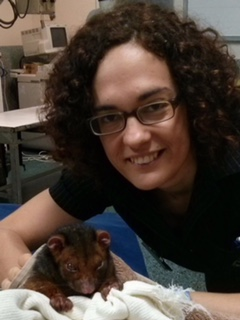 I worked for some years in small animal practices before moving to Australia, where I took my postgraduate studies. During that period, I was also busy working in emergency animal hospitals in Brisbane and in the Gold Coast. In 2011, I was awarded a PhD for investigating the causes of allergic skin disease in dogs. After that, I worked as a researcher in both the academia and government and was involved in teaching undergraduate veterinary students. However, I have always preferred clinical practice and from 2014, I decided to became a full-time vet and I worked in different practices around Brisbane. Recently, I was invited to join the Northgate Veterinary Surgery. I also help with the continuous education of veterinarians around the world by organising and hosting live webinars. I live in the Moreton Bay region with my partner, two children, a Jack Russell Terrier called Ivy and a rescued cat named Mackenzie. In my (very) spare time I enjoy dancing, travelling, reading and binge-watching my favourite tv shows.